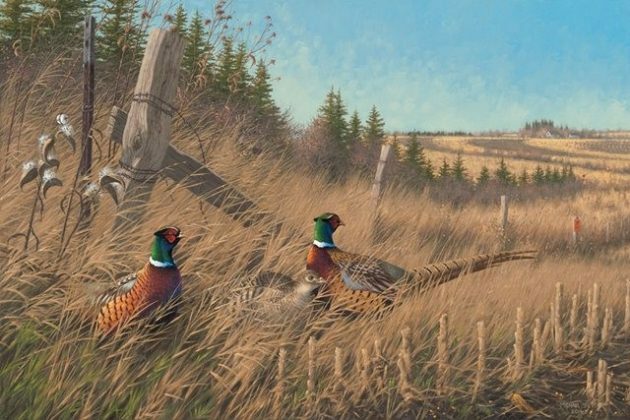 Pheasants Forever recognizes the value of insect-rich cover for pheasant and quail broods. Like upland gamebirds, pollinators also need quality habitat to supply basic food and cover requirements. Flowering plants provide pollinating insects with larval host plants, protein-rich pollen, and nectar. Additionally, cover for nesting and overwintering helps the birds and the bees grow and thrive. Whether farming the back forty or gardening in the back yard, you can make conscience choices to establish plants that provide essential food and cover for bees, butterflies, moths, beetles, and other pollinators. 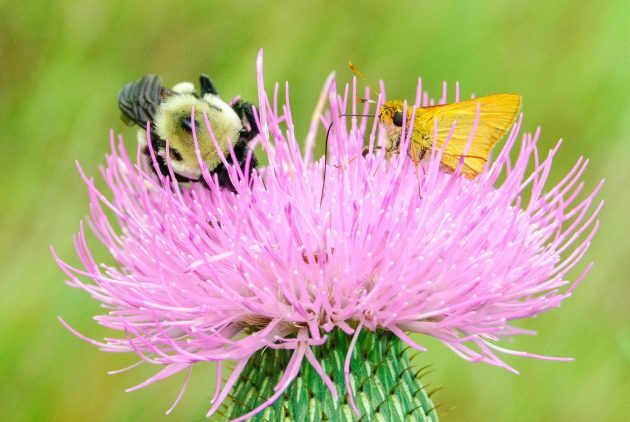 Nebraska has identified 18 at-risk pollinator species including the Regal Fritillary, American Bumble Bee, and Ottoe Skipper. 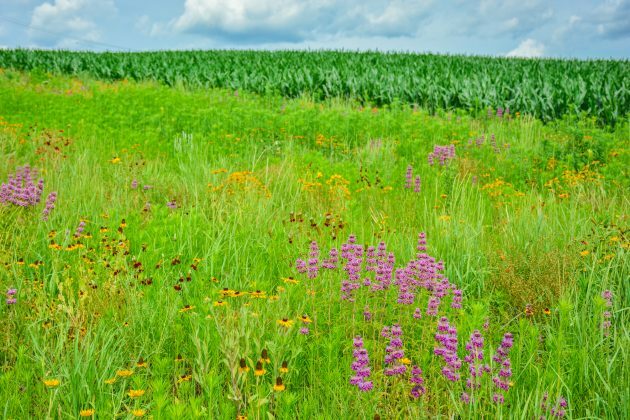 Targeted conservation efforts for pollinators can be a win-win situation for pheasants, quail, grassland songbirds, and other wildlife that utilize the same habitat. Since 2012, we have included about 643 million native milkweed seeds in 12,417 habitat projects, impacting 155,874 acres. 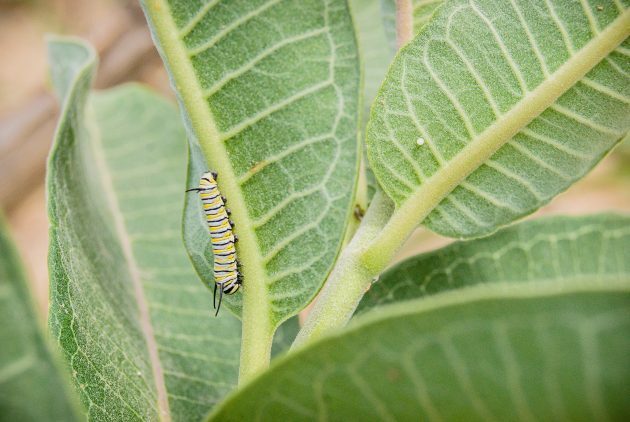 This is all part of a national effort to establish > 1.3 billion new milkweed stems to aid monarch conservation. 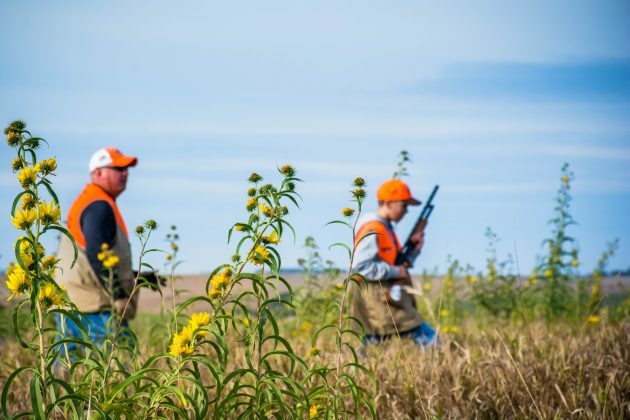 Pheasants Forever is actively engaged in many conservation efforts and partnerships which promote pollinator-friendly habitat. We work with conservation partners including the Honey Bee Health Coalition, Monarch Joint Venture, The Monarch Collaborative, Save Our Monarchs, and Bumble Boosters. Pollinating insects are an essential component in global food production. Approximately one-third of all food is made possible by insect pollination. In addition, pollinators are key to the reproduction of 75% of the world’s flowering plants that provide food for wildlife, clean our air, and clean our water. Pollinators impact everyone! Beginning in 2008, the Farm Bill included language that makes pollinators and their habitat a priority for every USDA land manager and conservationist. Conserving natural habitat surrounding crop fields can benefit farmers by attracting beneficial insects that are natural enemies (predators and parasitoids) of crop pests. In west central Nebraska, UNL is researching insect predators of western bean cutworm eggs and larvae. 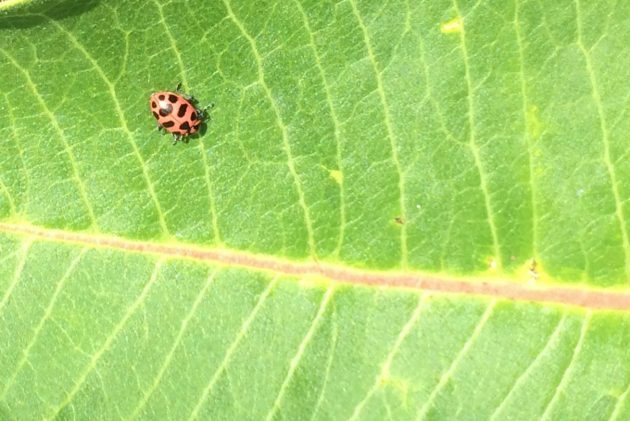 Primary predators include pink spotted lady beetles, green lacewings, and minute pirate bugs. A field study found high-diversity pivot corners (i.e. Corners for Wildlife habitat projects) had higher predation rates at the edges and interior of crop fields compared to conventional lower-diversity corners planted to corn or winter wheat. While beneficial insects alone may not solve crop pest problems, they can be a valuable part of an Integrated Pest Management system. For more information see Habitat Planning for Beneficial Insects. More is Better: When designing great pollinator habitat, make sure to include as many different species in your mixture as possible. That way, you’re more likely to have something flowering throughout the year. A good rule of thumb is to use 30 or more different species in your pollinator mixture. Plan For The Entire Year: Great pollinator habitat needs to include species that are flowering from early spring all the way through late fall. A mixture that doesn’t plan for the entire year (April to October) or include flowers of different colors, sizes and shapes will not be meeting the habitat needs for pollinator success. 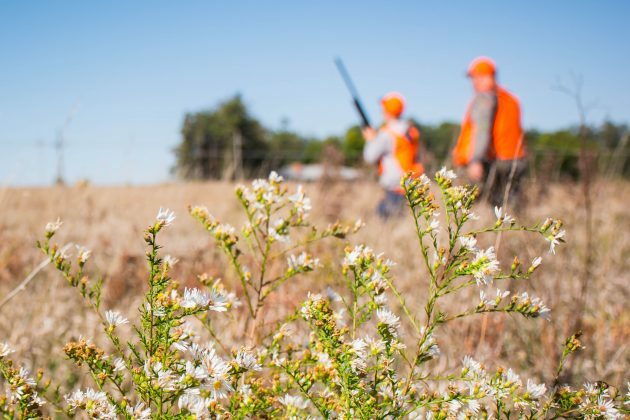 Ask The Experts: Great Pollinator Habitat = Great Pheasant and Quail Habitat. Your local wildlife biologist can provide great suggestions on what species do well in your area and for your soil type. PF and QF wildlife biologists are ready and willing to help you out…..contact one today for help providing the seed and designing your pollinator habitat project. Honey bees and other pollinators are a vital part of U.S. agriculture—supporting production of most of the fruits, vegetables, and nuts grown in the United States, with an estimated value of $19 billion in agricultural production annually. While we recognize that honey bees are a vital part of U.S. agriculture production, they face a variety of challenges including: forage availability, nutritional deficiencies, pesticide exposure, disease, and parasites. Overwintering honey bee colony losses have ranged from 22 percent to 37 percent over the last 11 years—compared to a historical average of 10 percent to 15 percent. 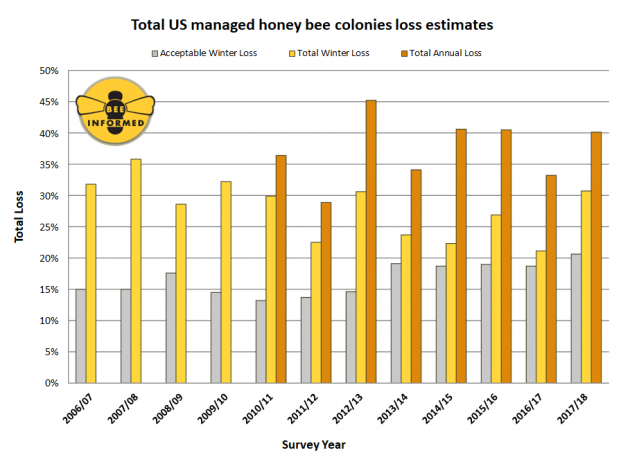 See the honey bee loss map for more detailed information. Early accounts of the monarch in North America describe “immense swarms or bevies” in the prairie states; appearing in “such vast numbers as to darken the air by the clouds of them.” Over the past two decades the Eastern monarch butterfly population has declined by more than 80 percent. The greatest threat is loss of habitat. Monarch caterpillars are dependent on milkweed and adult butterflies feed on nectar from flowers. Nectar-rich plants are especially important to fuel monarchs during their fall migration. 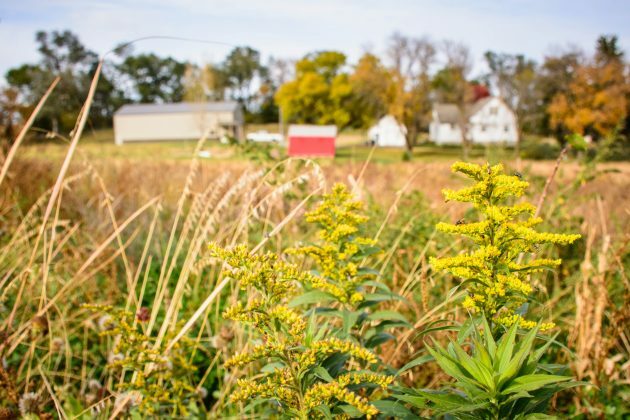 In addition to planting milkweed, late-blooming nectar plants such as asters, goldenrod, blazing stars, pitcher sage, and sunflowers provide excellent benefits for pollinator habitat. There are many ways to help raise awareness for pollinators and take action. You can make a difference by participating in citizen science projects that contribute to the scientific study and conservation of pollinators. There are over 4,000 known bee species in North America. Many species are solitary, ground-nesting bees. So little is known about Nebraska’s native bees and their nesting preferences. 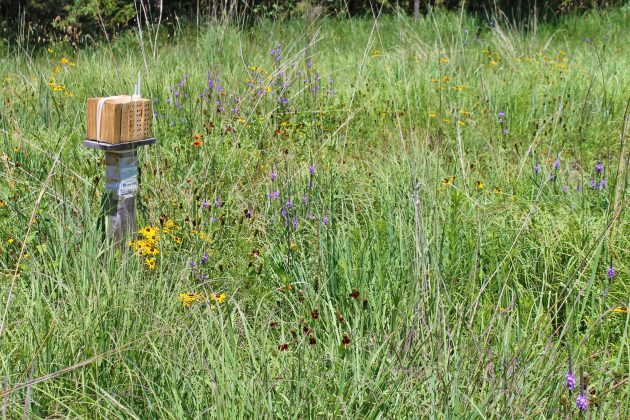 The Bumble Boosters team is working with Pheasants and Quail Forever citizen scientists to monitor pollinator diversity and abundance in PF/QF Pollinator habitats to determine which solitary bees are present as well as nesting habitat preferences for each bee group. 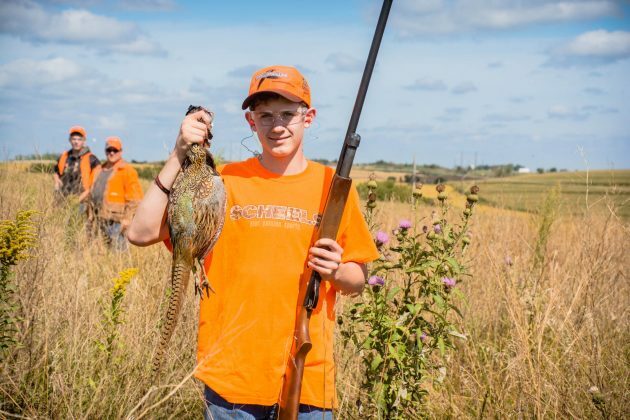 The public can also assist in the data collection process by visiting and joining the Pheasants Forever Youth Pollinator Habitat Program project on iNaturalist. The monarch butterfly is one of the most iconic insects yet for many years the amazing monarch migration remained a mystery to the scientific world. 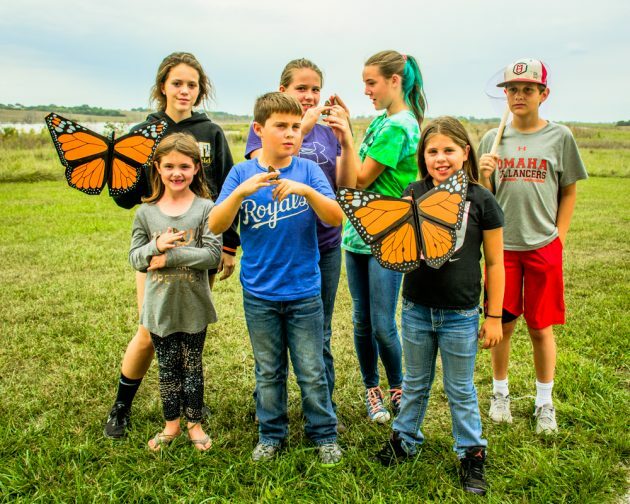 Through tagging and release efforts, citizen scientists help scientists understand monarch migration biology and monarch population dynamics. 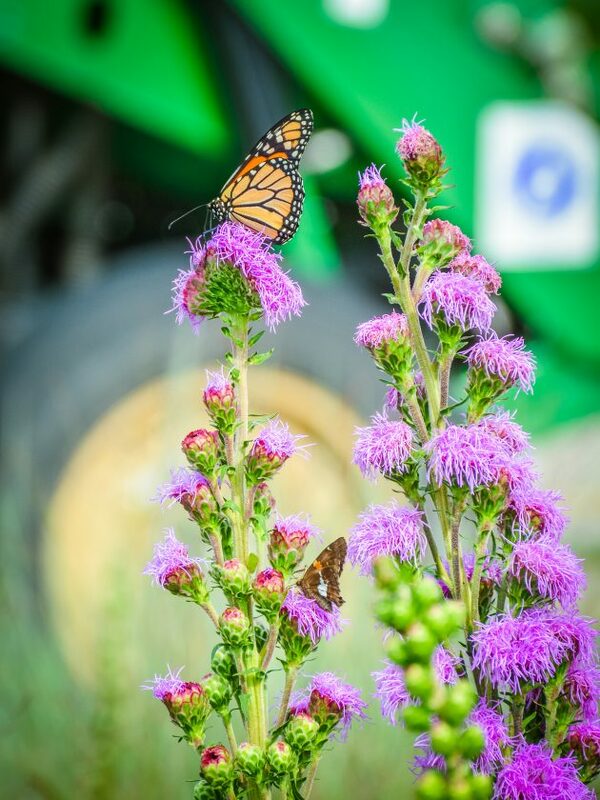 Pheasants Forever participates in monarch tagging through Monarch Watch. Check the event calendar in September for monarch tagging programs. Remember the last time you saw a monarch roost in fall? Help track the annual life-cycle and migration of monarchs on Journey North. Across North America, citizen scientists contribute sightings of monarch butterflies each fall and spring. They report migrating monarchs, monarch eggs, monarch larvae and the first milkweed of spring. Each sighting becomes part of a bigger picture about monarchs and their migration. All sightings can be viewed on Journey North’s real-time maps. Great pollinator habitat is great pheasant habitat! Good monarch habitat and good pheasant habitat have significant overlap. Monarchs need milkweed as a host plant for their larvae. Milkweed and nectaring wildflowers also attract the insects. When you consider a pheasant chick’s diet is 90% insects, it’s clear that quality pollinator habitat has great potential to benefit pheasants. 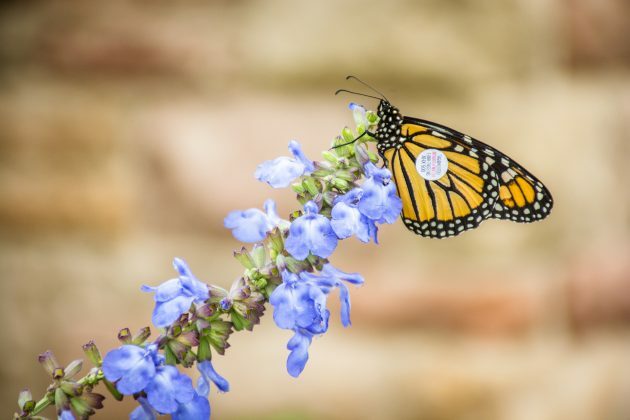 Although the monarch itself is not in danger of extinction, the North American migration is considered an endangered biological phenomenon due to the threats to the monarch’s habitats during its annual cycle of breeding, migration, and overwintering. Population density estimates in Central Mexico were at a record low during the winter of 2013-14 (WWF 2014). 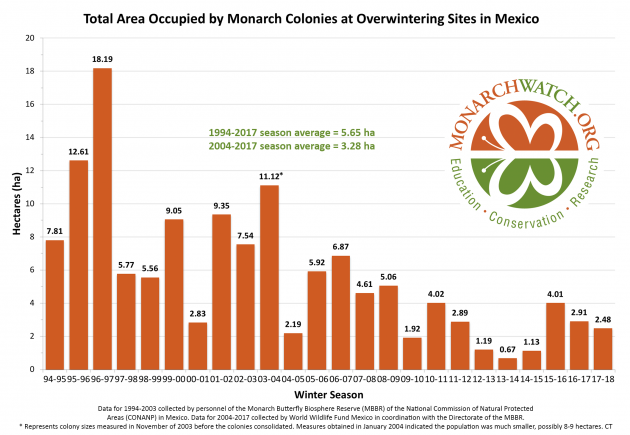 Overwintering monarchs occupied just 1.65 acres of forest surface, well-below the historic average of about 15 acres. Scientists estimate 4-20 million monarchs per acre. The target for monarch recovery is a sustained population of 225 million monarchs by 2020. People who want to help reverse the monarch population decline understand the need for more milkweed. Milkweed is the only plant where monarchs lay eggs and the only plant monarch caterpillars eat. Here in the Midwest, Common Milkweed (Asclepias syriaca) is the main host plant for monarchs. However, Common Milkweed isn’t as common as it used to be. In 1999, Common Milkweed was found in about half of Iowa’s corn and soybean fields (Hartzler 2010). Ten years later only about 8% of corn and soybean fields had milkweed. 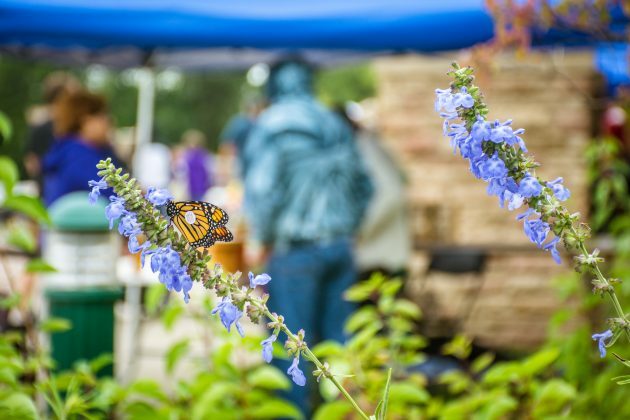 The central flyway of the U.S. has been identified as a high priority area for monarch habitat restoration because research shows that about half of the monarchs overwintering in Mexico were from the Midwest. To help reach the goal of 225 million monarchs by 2020 we need > 1.3 billion new stems of milkweed on the ground. According to monarch experts, “agricultural lands are essential to reaching restoration targets because they occupy 77% of all potential monarch habitat” (Thogmartin et al. 2017). 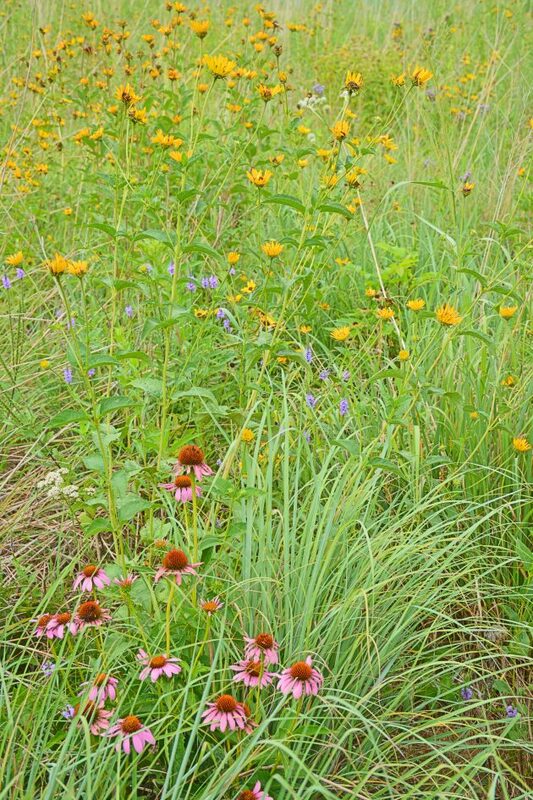 Protect and manage native prairie remnants. Remnants can support rare plants and may support pollinators with very specialized habitat needs, such as Regal Fritillaries. Go native! Native grasses and flowers are best adapted to local growing conditions, and require minimal inputs for establishment, and are able to tolerate extreme weather events such as drought. Pollinator seed mixes are typically comprised of 75% wildflowers and 25% native grasses. Short to medium-height bunchgrasses, such as Little Bluestem, are the most compatible. Plant milkweed! It’s a critical habitat need for monarch butterflies. Avoid or delay mowing roadsides and non-cropland areas to limit impacts on ground nesting birds, pheasant broods, and forage resources for pollinators. Help prevent and manage drift effects; FieldWatch provides an online platform to facilitate awareness, communication and interaction between crop producers, beekeepers, and pesticide applicators.